BabyCarers.com recommends certain websites which it feels may be of interest to carers. If you would like to add your website to our links section, please contact us. We also provide opportunities for site-wide banner advertisements for appropriate related organisations. 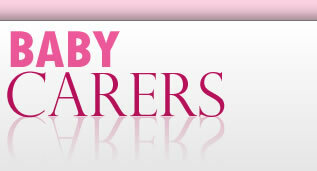 If you would like to link to BabyCarers.com, please click here for instructions. Please tell us and we will add your site or blog to our links section.